Book your Bella Vista printer repair technician in 5 minutes today! Global office machines deal with repairing printers, photocopiers, fax machines and plotters. Expanding its reach to mobile workstation locations, can provide professional quality services. Bella Vista, a suburb located north-west of the Sydney CBD, has become a major business centre in the Hills District. Its most popular commercial area is the Norwest Business Park, which encompasses retail, hotel, and industrial developments. Aside from this, the suburb is also home to two shopping centres featuring many specialty stores; a corporate hub that joins offices of various companies; educational institutions from high schools to colleges; and other commercial establishments. For more than 20 years, Global Office Machines (GOM) have been serving local clientele and providing outcomes. We supply the perfect variety of top quality office machines for sale in Australia: multifunction printers, laserjet printers, large format devices and more. We serve government, corporate, education and individual client needs in the area. Read through our range of office printers, exclusive deals and exciting new releases. We specialise in printers for businesses in Bella Vista. 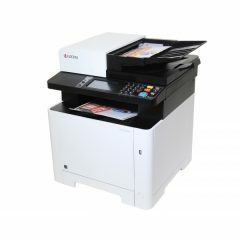 Global Office Machines (GOM) have been providing the printer sales for schools, government, corporate, small business and individuals. 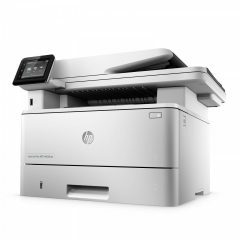 Our diversified choice of printers for sale cover the full range: laserjet printer repairs, photocopiers, large format devices and multifunction printers. Have a look at our excellent selection of office printers and exclusive deals, or get hold of us at 1300 882 852 so we can help you select a product which meets your needs. We’re the leading provider of printers for sale in the region, serving government offices, schools, small businesses and private customers. Our techs are very skilled and backed up with mobile work vans. They will go on site to deliver your machine and set it up as quickly as possible. We sell the best selection of printers, photocopiers, plotters and multifunction machines from the top names in the industry. Whichever printer brand you purchase, our technicians will take enough time to be certain that your team understand how to operate the unit for maximum effectiveness. Book your technician for Bella Vista today!